This is an extraordinary set, the green opals have lovely swirls of pale greens, browns and cream colors. 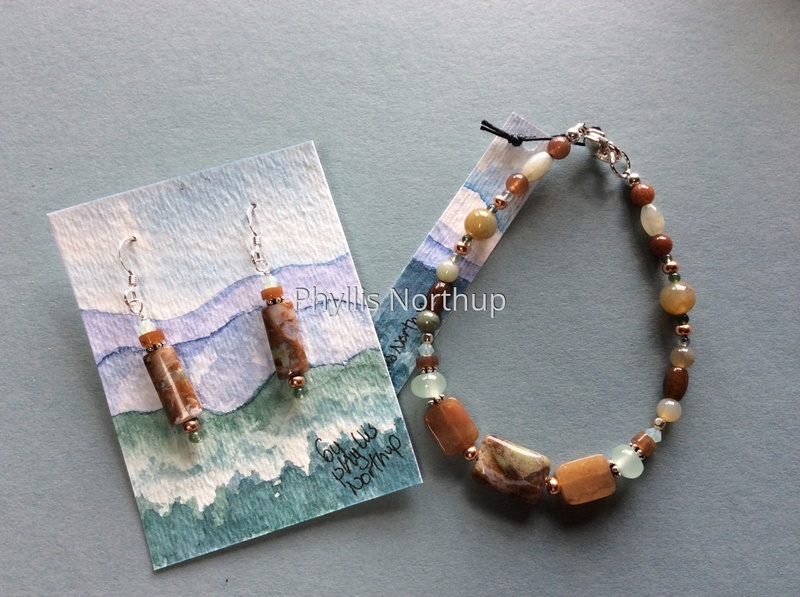 The color scheme is repeated with moss agates, fancy jaspers, new jade and Swarovski crystals, with accents of sterling and copper. The bracelet measures about 7 1/2". The clasp and ear wires are sterling. Presented on a hand painted mountain scene card which makes for a perfect gift! Price includes shipping.